The Knights are an orchestral collective, flexible in size and repertory, dedicated to transforming the concert experience. 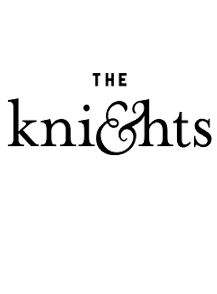 Engaging listeners and defying boundaries with programs that showcase the players’ roots in the classical tradition and passion for artistic discovery, The Knights have “become one of Brooklyn’s sterling cultural products… known far beyond the borough for their relaxed virtuosity and expansive repertory” (New Yorker). 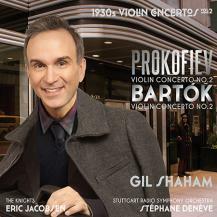 Performance highlights include Caramoor, Ravinia, and Tanglewood Festivals with Yo-Yo Ma, Joshua Redman, Dawn Upshaw, and Itzhak Perlman; a North American tour with Gil Shaham; a residency at BRIC in Downtown Brooklyn; the orchestra’s debut at Carnegie Hall in the New York premiere of the Steven Stucky/Jeremy Denk opera The Classical Style; a U.S. tour with banjo virtuoso Béla Fleck; a European tour with Dawn Upshaw, including the group’s debut at Vienna’s Musikverein; and seven years of free summer performances at Central Park’s Naumburg Orchestral Concerts and Bryant Park. Recordings include 2015’s “instinctive and appealing” (The Times, UK) the ground beneath our feet on Warner Classics, featuring the ensemble’s first original group composition; an all-Beethoven disc on Sony Classical (their third project with the label); and 2012’s “smartly programmed” (NPR) A Second of Silence for Ancalagon. The Knights evolved from late-night chamber music reading parties with friends at the home of violinist Colin Jacobsen and cellist Eric Jacobsen. The Jacobsen brothers, who are also founding members of the string quartet Brooklyn Rider, serve as artistic directors of The Knights, with Eric Jacobsen as conductor. In December 2012, the Jacobsens’ were selected from among the nation’s top visual, performing, media, and literary artists to receive a prestigious United States Artists Fellowship.